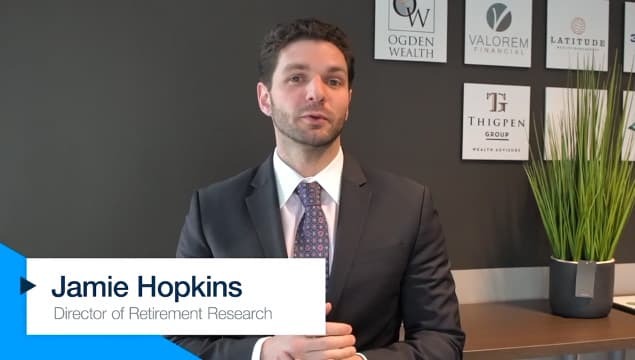 A recent study by Allianz Life found many Americans are concerned about understanding and managing the impacts on taxes resulting from taking their RMDs on retirement accounts such as IRAs. The vast majority (95 percent) of high-net-worth consumers polled said it is very important to minimize their tax burden in retirement, yet nearly a third (32 percent) say they have difficulty understanding how RMDs could impact their overall tax obligation. More than 80 percent of consumers said they hate paying taxes on their RMDs that come out of most tax-deferred retirement plans, which are calculated as income tax. Why is it so difficult for consumers to understand the impact of taxes on their RMDs? It comes down to changing focus from accumulating money in a qualified account such as an IRA to focusing on the impact of taxes as funds are withdrawn in retirement, said Kelly LaVigne, Allianz Life vice president of advanced markets. “When it comes to RMDs, what we don’t prepare our clients for is that, as the RMD percentage grows as clients get older, it can sometimes bump them up into a higher tax bracket,” he said. A common thought in financial planning, LaVigne said, is that retirement money that has a cost basis or capital gains tax attached to it should be withdrawn ahead of money in qualified accounts such as IRAs. “Because you want that qualified money to grow tax-deferred for as long as possible and use that tax deferral to your advantage,” he said. But what clients and their advisors may not recognize, he said, is that clients end up having a higher portion of qualified money – taxable money – in their retirement portfolios than any other type of account. The Allianz Life survey showed that about one-third of those polled did not have a plan to address the tax implications of taking RMDs. As advisor help their clients avoid a nasty tax surprise over their RMDs, LaVigne named a few issues to consider. He said advisors can manage this by monitoring the client’s tax brackets. “If they’re in the 22 percent bracket, for example, you could fill up that bracket with distributions from their IRA or a Roth conversion from a traditional to a Roth IRA during that period. Then they have less exposure to higher taxes later,” he said. Female clients need their own set of advice about RMDs and taxes, mainly because of their greater longevity, he said. Susan Rupe is managing editor for InsuranceNewsNet. She formerly served as communications director for an insurance agents' association and was an award-winning newspaper reporter and editor. Contact her at Susan.Rupe@innfeedback.com. Follow her on Twitter @INNsusan.